CROWN POINT SCHOOLS!! 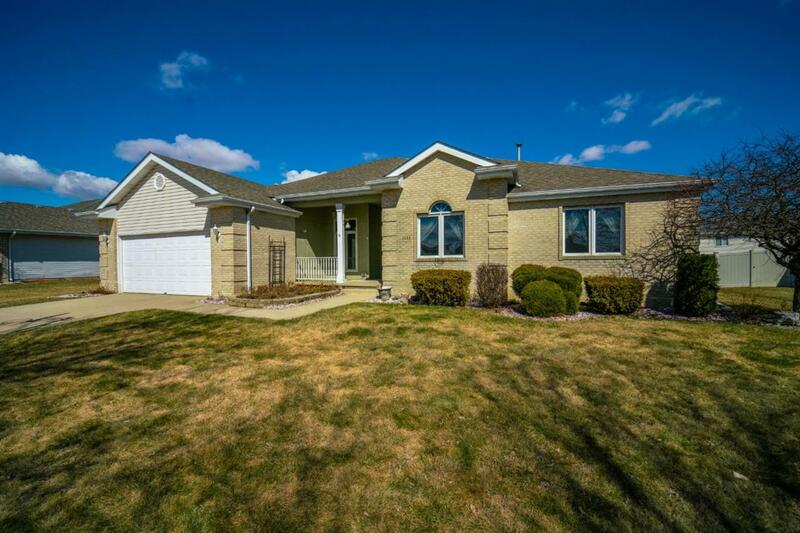 Large , beautiful ranch home with FULL FINISHED BASEMENT!! 10 ft ceilings in Living Room, Dining Room and Main Floor bedroom. Freshly painted through out and brand new backsplash in the large eat in kitchen with bay windows. This meticulously maintained home with an abundance of storage also has a 18x21 deck to entertain your guests. Exercise room , rec room, office and two rooms used as bedrooms are in the finished basement. You won't believe it until you see it! Make an appt today to tour it! !New furnace in 2015.